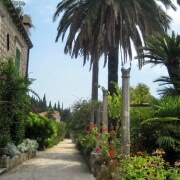 During your vacation in Dubrovnik do not only spend your time in the old town. 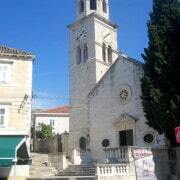 There is much more to see in South Dalmatia. 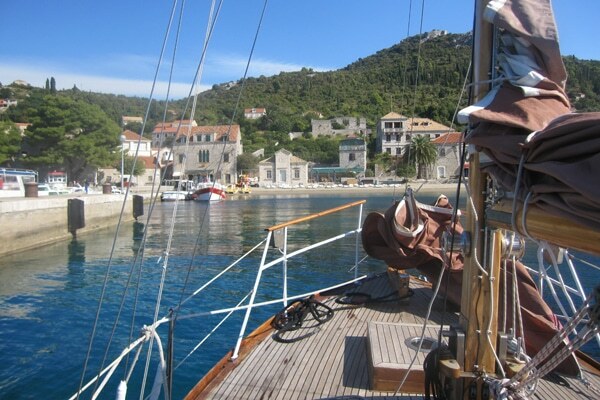 Dubrovnik’s region offers so many natural and cultural interests. 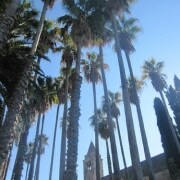 Here are some ideas of excursions and one day visits that you can do during your stay. 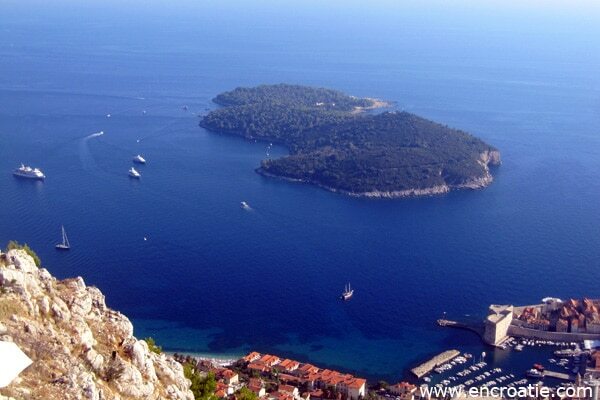 During your stay in Dubrovnik have a one day trip to the Elaphiti islands. 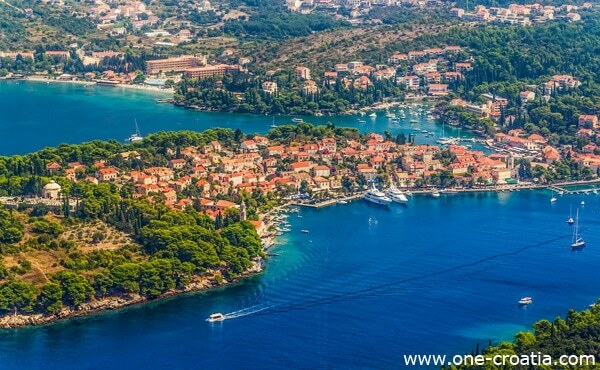 It is an archipelago of 13 islands, the 3 largest are inhabited: visit Koločep, Lopud and Šipan. You can visit the three islands in one day. For the program? Beautiful scenary, fantastic view from the cliffs, swimming and walks in the forest. 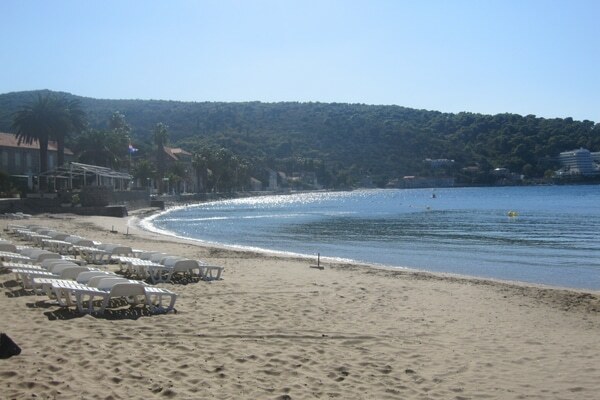 If you fancy sandy beaches, you should know that one of the most beautiful sandy beaches in Croatia is located on the island of Lopud in Šunj bay. 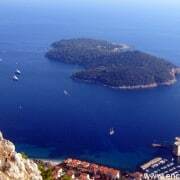 * Cars are only allowed on the island of Šipan, so you have to discover the islands by foot. Visit the 3 islands in one day. Buy the ticket at the old harbour. Dubrovnik -Koločep : 30 mn. Buy the ticket : at Gruž harbour. 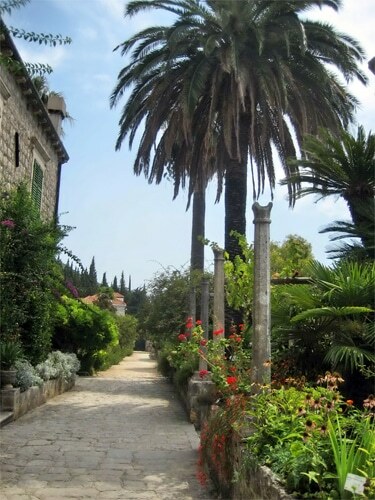 The island of Lokrum is located just opposite of Dubrovnik’s old town. Go there if you want to get away from the crowds and go for a walk in the shade of its forests, but do not expect to find beautiful beaches. Its rocky coast is popular for nudism. The boat is leaving every 15 mn during the summer. Price of the ticket : 150 kn (about 20 euros) round trip per person including the entrance to the island that costs 120 kn (about 16 euros). Buy the ticket : at the old harbour. 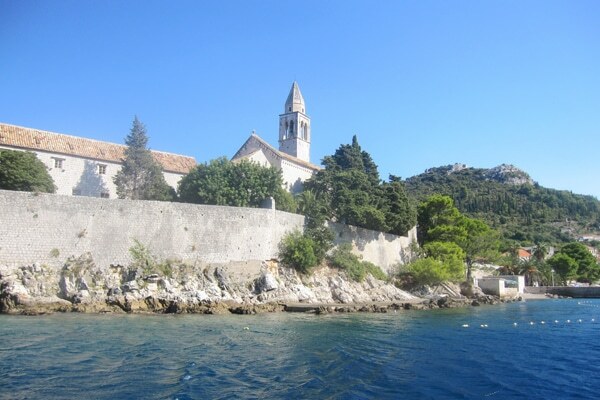 Cavtat is a charming typical Dalmatian village situated 20 km south of Dubrovnik. 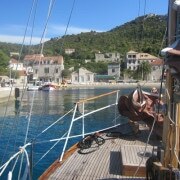 If you spend a few days in South Dalmatia Cavtat is a good place to stay, or at least take half a day to visit it. 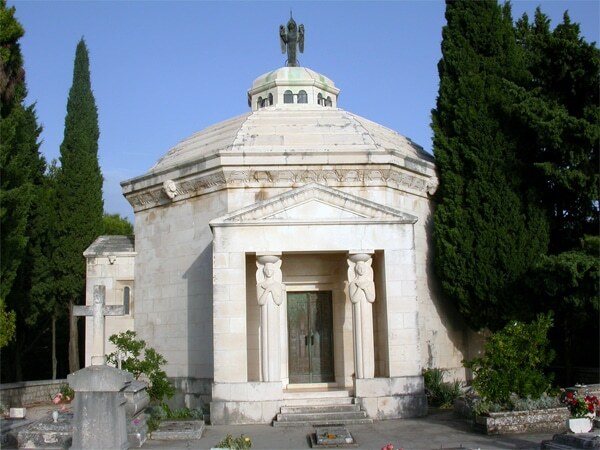 Visit its stone houses, stroll through its narrow streets and you will arrive at the end of the peninsula to the mausoleum of the Račić family originally from Cavtat. 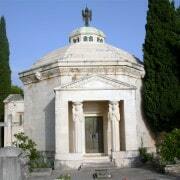 The mausoleum was built by Ivan Mestrović who is considered as one of the greatest Croatian sculptors of all time. Departure every half an hour to one hour. Duration: 25 mn (20 km). 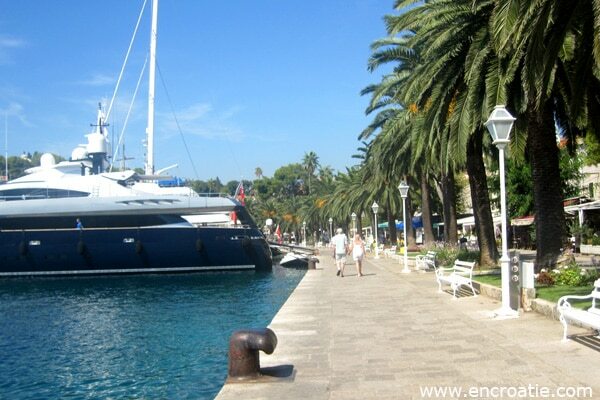 Buy the ticket: at the main bus station in Dubrovnik (Gruž harbour) or in the bus. Buy the ticket: at the old harbour. 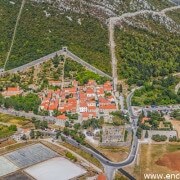 Trsteno is a village located 25 km north of Dubrovnik. 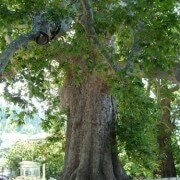 When you arrive in Trsteno you can not miss the huge plane tree situated at the entrance of the village. 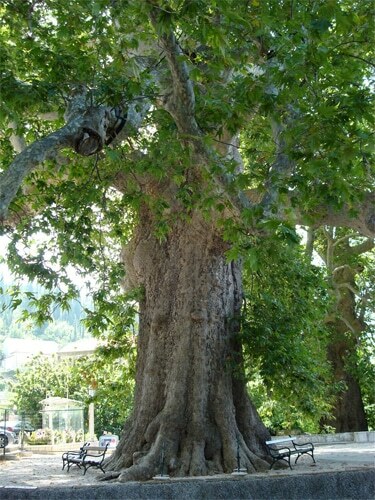 Or better say two plane trees, both 400 years old, they have a circumference of about 15m and a height of 50 m.
You can access to the arboretum from this place. The arboretum is a beautiful botanical garden which was created in 1494 by the Gučetić family who was living at that time in the beautiful summer residence in the center of the garden. 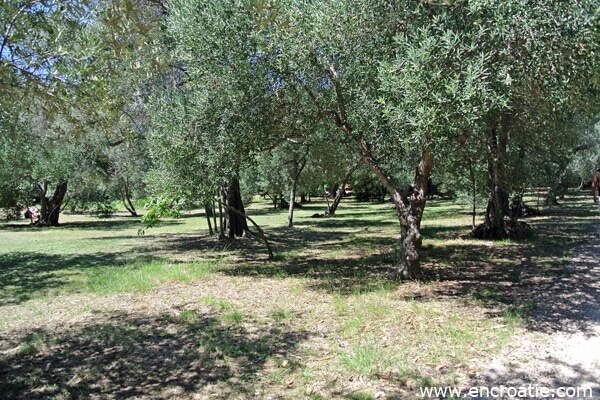 The arboretum owns more than 300 plant species brought back by sailors during their travels around the world, at the time of the Republic of Ragusa. 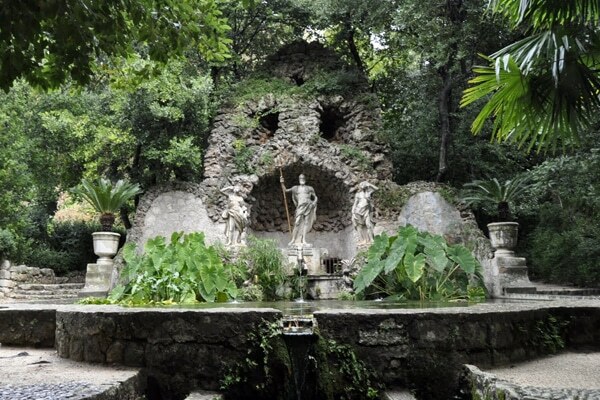 Do not miss the spectacular fountain dedicated to Neptune, the God of Seas, Oceans and the aquatic kingdom in the Roman mythology. An important part of the arboretum is the aqueduct of 70 m long with 14 arches that allowed to supply the fountain and the garden with water from a nearby source. 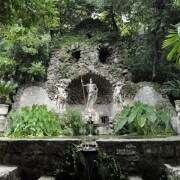 The arboretum of Trsteno is the witness of more than 5 centuries of Croatian history. 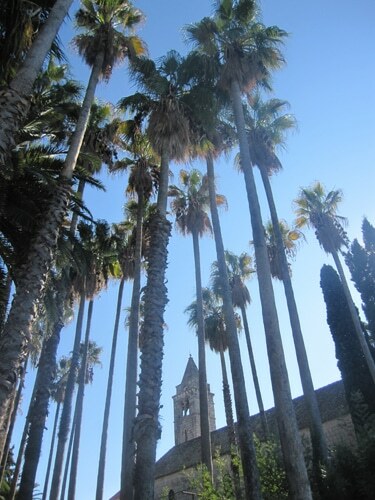 Having survived a serious earthquake, fires and enemy attacks during the War of Independence but has regained all its splendor. 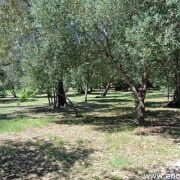 Price of the entrance at the arboretum: 50 kn (about 7 euros) per adult. Duration: 30 mn (25 km). 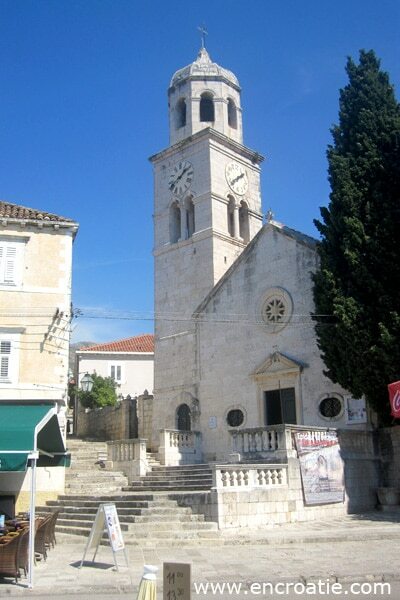 The little town of Ston is situated 1 hour North of Dubrovnik, at the entrance of Pelješac’s peninsula. Ston belonged for 400 years to the Republic of Dubrovnik, called Ragusa. Dubrovnik has indeed been an independent republic for 4 centuries, and had to fight for freedom against powerful opponents as the Republic of Venice and the Ottoman Empire. Ston’s saltworks were playing a role of great importance since Dubrovnik received its wealth from salt trade. That’s why a huge wall was built around the villages of Ston and Mali Ston (small Ston) to protect the access to the saltworks. It was recently renovated and is now opened to the public. 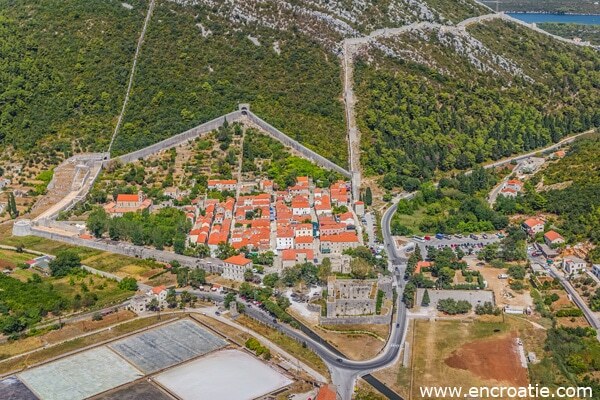 With its 5.5 km length the wall of Ston is the longest in Europe and second longest in the world after the Great Wall of China. 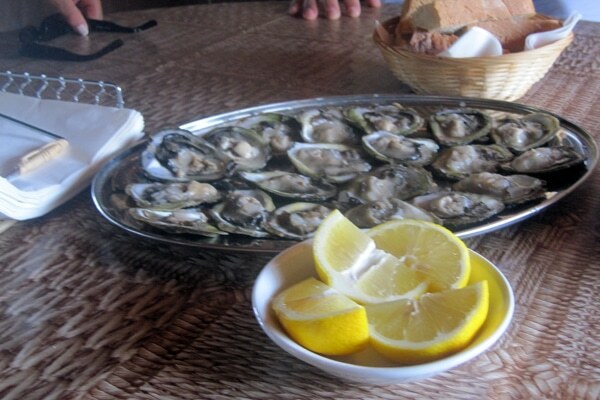 Ston is also famous for its oysters. Be sure to try them! 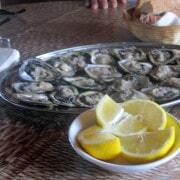 You should pay about 10 kn (about € 1.30) per oyster in restaurants. If you have your own car you can go to an oyster farm near Ston where you will pay half this price. 4 goings and comings per day. Duration : 1h00 (59 km).